We are the first online chess school offering professional chess training. Our objective is to turn our students into real strong chess players in one year of study. OUR RESULTS: For over more than 10 years, thousands of our students succeeded in improving their chess to much higher levels. Our students obtained results such as master titles, national champions, and have won international tournaments against strong competition. You can do that too. With professional chess training, in 1 year of study, you can reach the master level! Our chess lessons are designed for high performance. 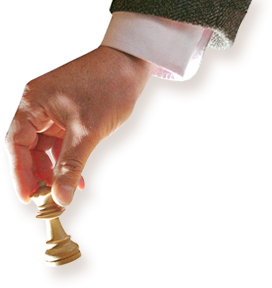 With the Grandmaster Package course, you will build a solid understanding of chess strategy and learn what a chess master should know. You will also learn to think like a strong player in order to apply your knowledge to practice. With advanced chess lessons, positional chess tests and exercises, our course follows the Russian method of the great Botvinnik's school of chess. Our study programs are designed for different levels from beginner to master. Your lessons and exercises are organized and planned in such a way so you can improve much faster than with individual lessons or courses. Following our structured training programs, you will spend your chess-learning time wisely and reach your goals much quicker. A chess teacher comes in helpful since you can ask specific questions. When you do not understand something or need extra guidance on how to improve your chess, a personal teacher is a great help. We do offer this service for free! As a student of our chess school, you have access to professional teacher support and guidance for free!